ok party people. let's get down and dirty with this tutorial. 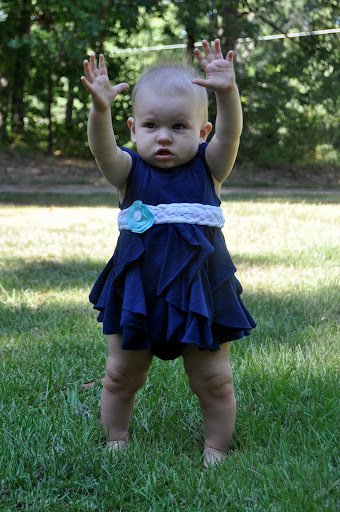 we are going to take up the length of a dress that has more than just a simple hemline. 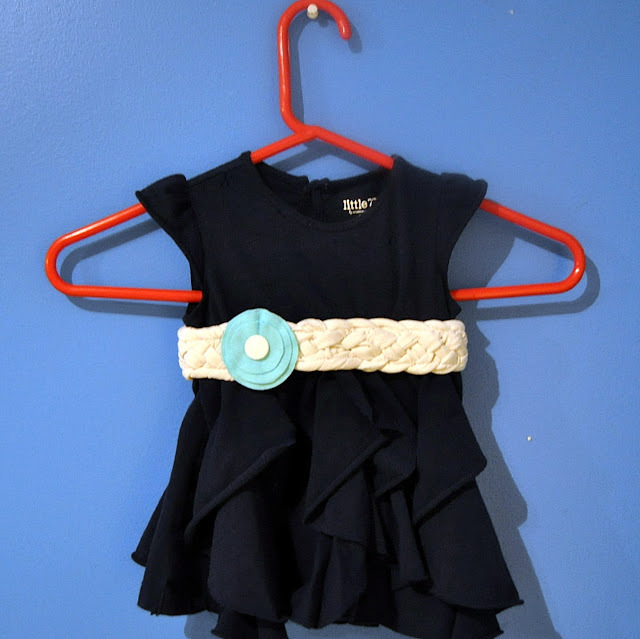 in this case: ruffles and gathered waist. 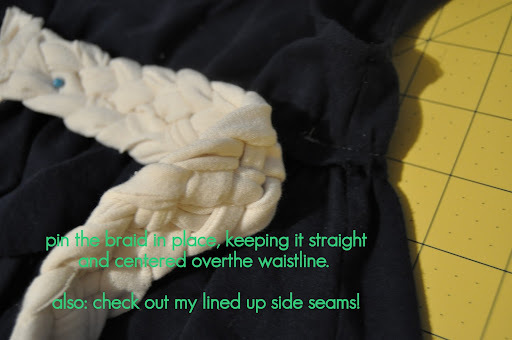 and we are going to look at how to add a fun 5-strand braided flower belt detail. 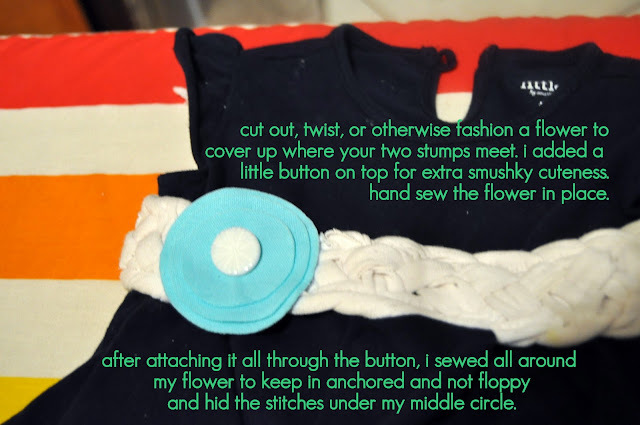 i will also show how to take the dress up without adding the belt or flower. 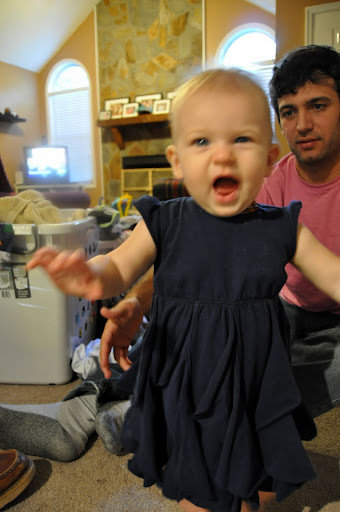 before: an american eagle kids dress that was cute and fun but WAY too plain and so long that my poor babe couldnt crawl in it (pet peeve!) and was looking a tad witchy. she is indignant about it all. oh hi! 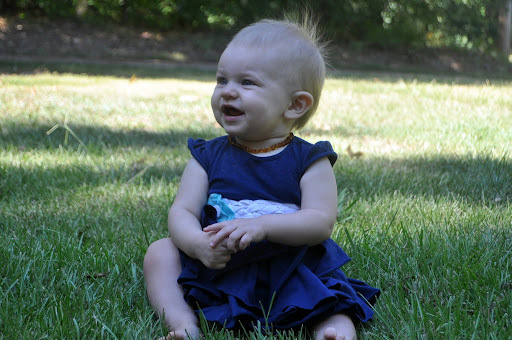 meet your two new pieces: bodice and skirt. 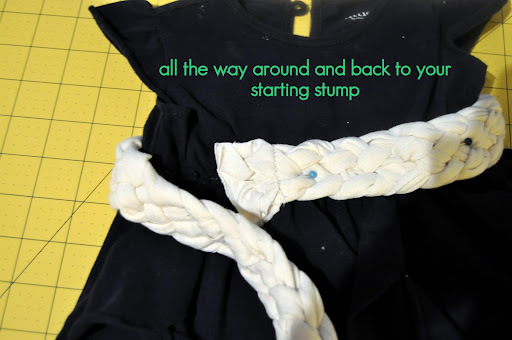 this is where you could mix and match and frankenstein yourself a cute custom dress by substituting the top half of another blouse or onesie for the existing bodice. i am definitely going to try that. 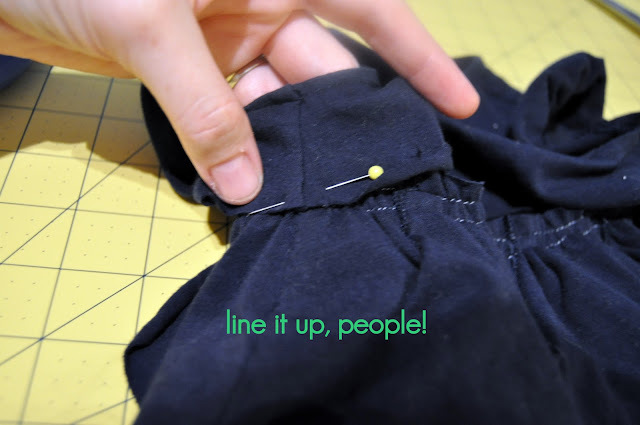 since my existing skirt had elastic at the waist (that i will be hacking off by shortening it all) i will need to replace it. 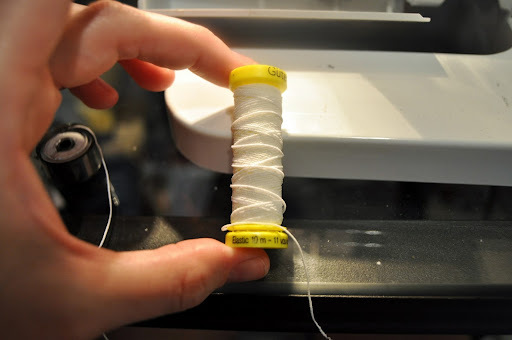 so i load up my bobbin with elastic thread. if your waist wasn't stretchy to begin with, just use regular, coordinating thread. STEP 2: decide how much you want the skirt to be raised. i wanted 2 or 3 inches shorter (remembering that it will shorten an extra 1/2" or so from the seam allowances when you reattach the bodice and skirt). 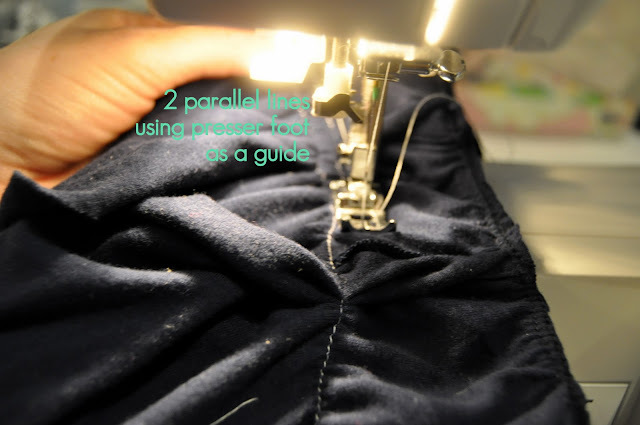 i set my presser foot 2.5 inches from the raw edge of the skirt and sewed all the way around. optional: since i wanted the elastic, gathered waist, i went around my skirt 2 times to reinforce the elastic and give it extra gather and stability. 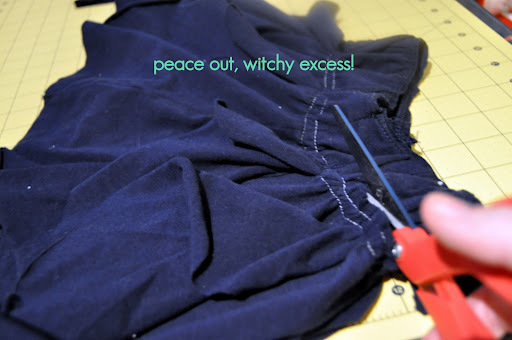 STEP 3: cut off the excess above your new waistline. it feels better already! STEP 4: this is only if you are adding the belt later. 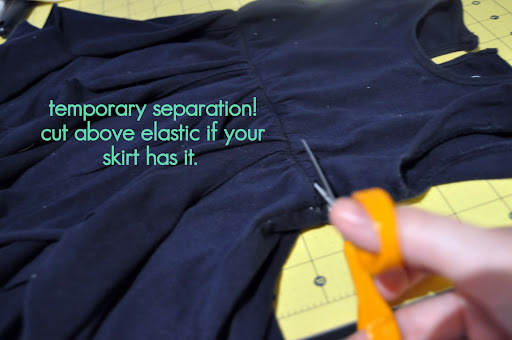 if you are not adding the belt and are just shortening your dress at the waist, see below at the *** starred section for how to reattach your skirt and bodice as the final step. 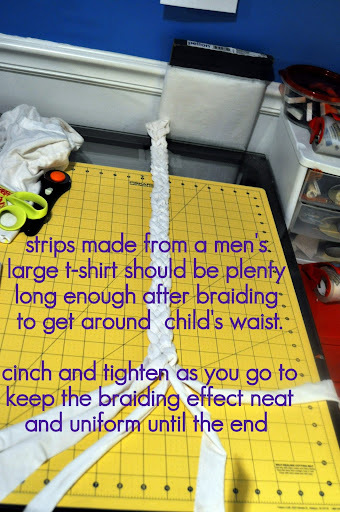 this next step here will leave a raw edge that wont matter because we are covering it up with a chunky belt. belters can actually use either step 4 depeding on your level of OCD, but non belters must go to the bottom or face yuckiness. everybody nice and confused? awesome. onward! 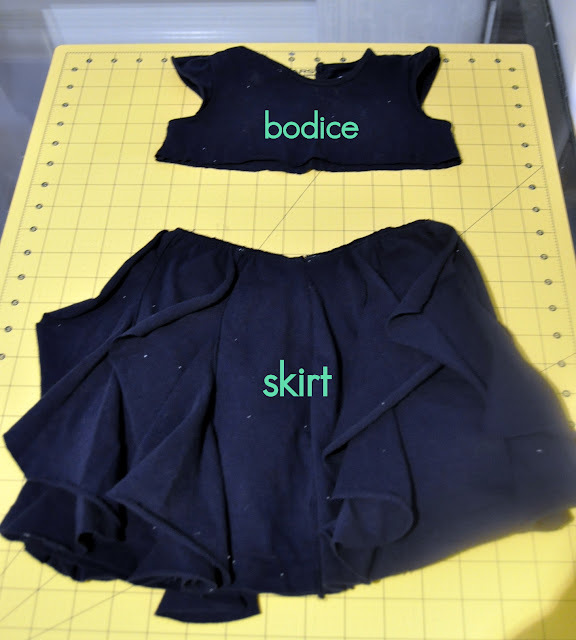 so for belters, STEP 4: overlap the bodice and the skirt by 1/2", making sure to line up the existing side seams first, then pin all the way around, spreading any gathered or ruffly excess evenly around the waist. 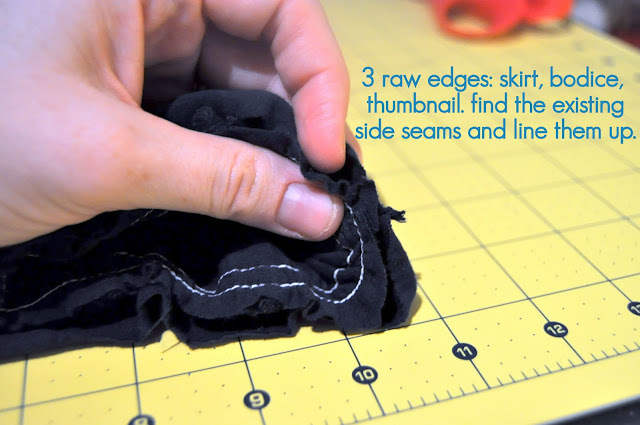 you will have an exposed raw edge. dont worry, it's okay! so they are back together and so much shorter and breezier and happier altogether. but there's that exposed edge at the waist still. 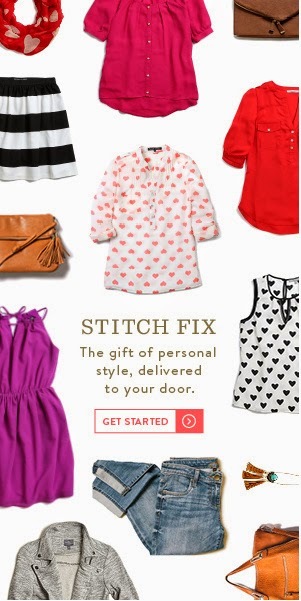 that's okay, we're belters and are going to hide it while making it even more adorable! i took the dress off layla after a day of wearing it to shoot this tutorial. it's a little rough looking at this point. 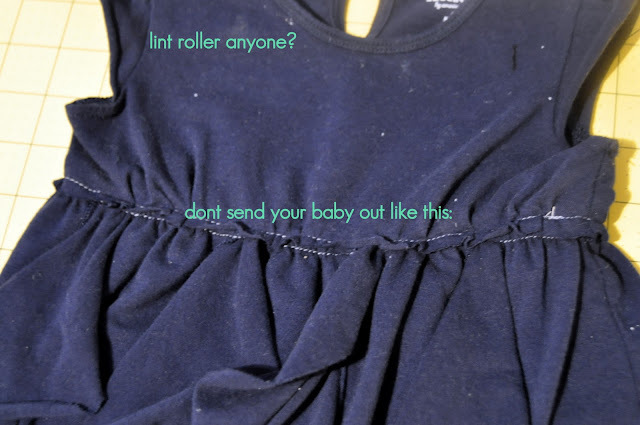 STEP 6: find an old t-shirt of your husband's or yours. 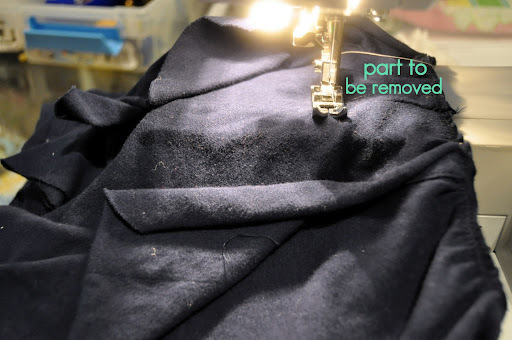 lay it flat and cut off the bottom finished hem and discard. then cut five 2" wide strips from across the bottom. STEP 8: line her up over the exposed edges of the waistline. 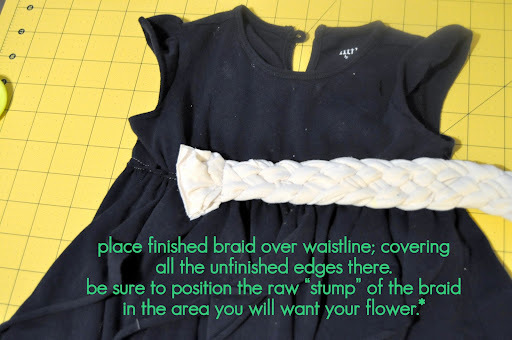 *if you dont want the flower accent and just want a braided belt, place your starting edge in the back center. 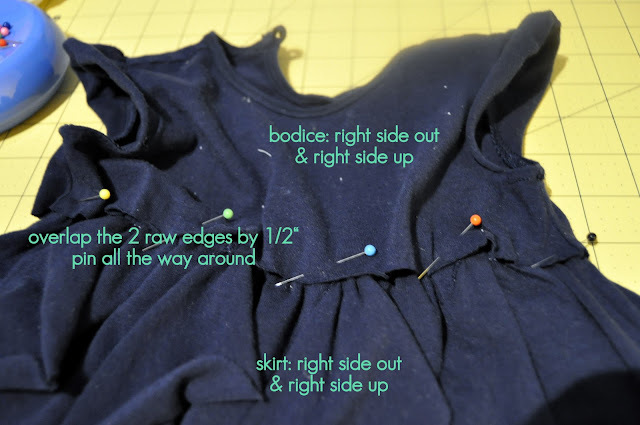 STEP 9: pin all the way around. 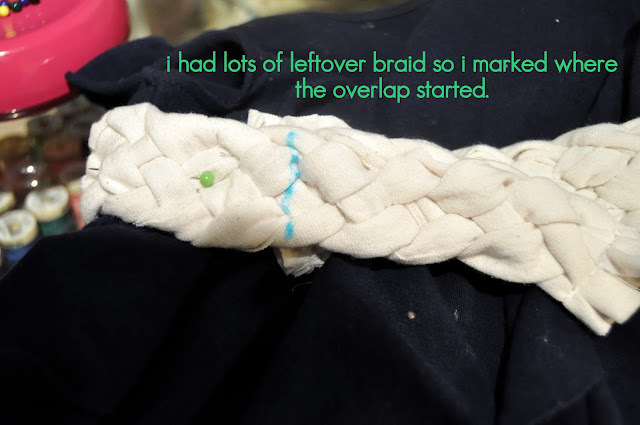 if you end up with lots of extra braid, mark with a fabric pen where your ends match up. 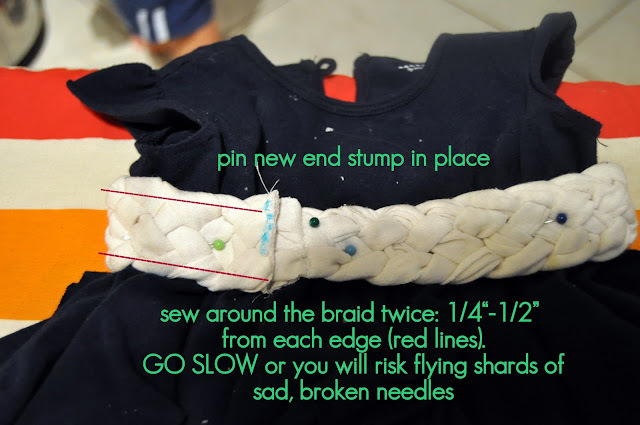 STEP 10: sew over your fabric pen line (SLOW AND STEADY is the name of the game sewing through this chunky braid, yall). 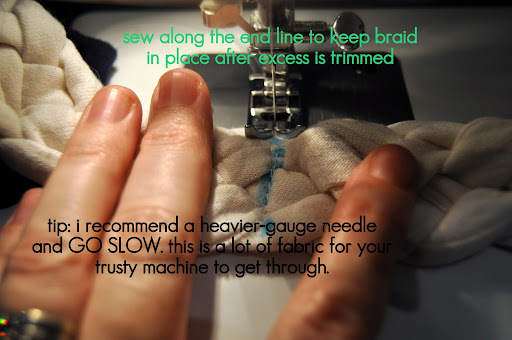 cut off your extra, making sure not to cut through the line you just stitched. STEP 11: pin the end of the braid down and sew all the way around, on both edges of the braid. thank you for holding your applause until the end, lay. 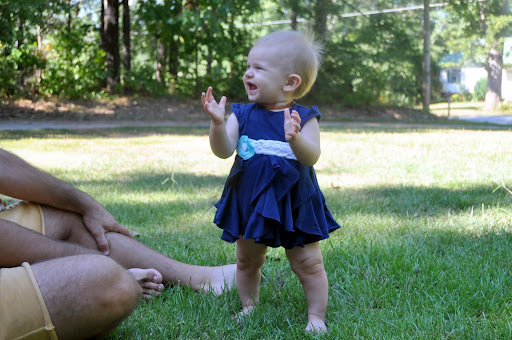 on a scale from 1 to 10, how much better is this dress, layla? yeah, i thought so too. 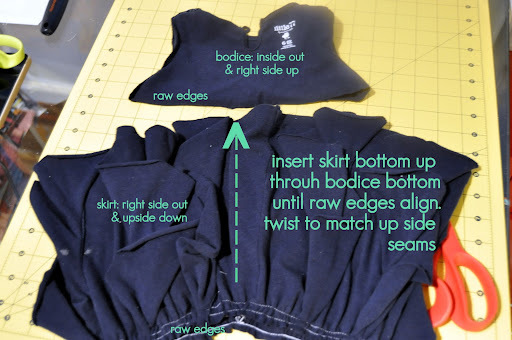 here is my skirt, upside down and right side out, nested inside my bodice, inside out and right side up, so that the raw edges align and making sure my side seams match up. 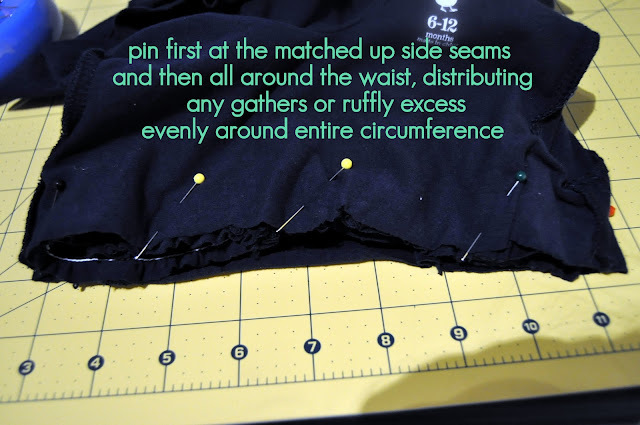 STEP 6: pin all the way around and then sew, making sure that you sew above the line of your new waist, so those stitches will be hidden. 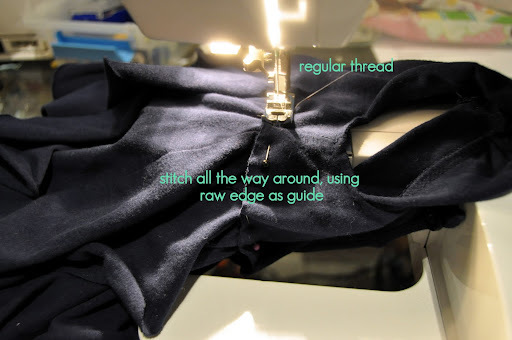 since you sewed with the right sides together, all of your yucky raw edges will be hidden inside the dress and the outside will just have one pretty seam right at the new waist. shwew...that was intense. did everybody make it? nobody? it's really an easy project that i may have complicated. i may not be cut out for tutorial posts, after all. if you have ever made anything using a tutorial, go hug the blogger that created it, because it isnt as easy as it looks! Yay! 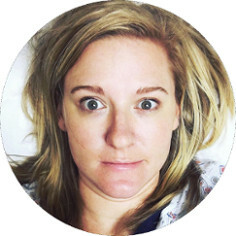 Congrats on your first tutorial! And on your clever project! 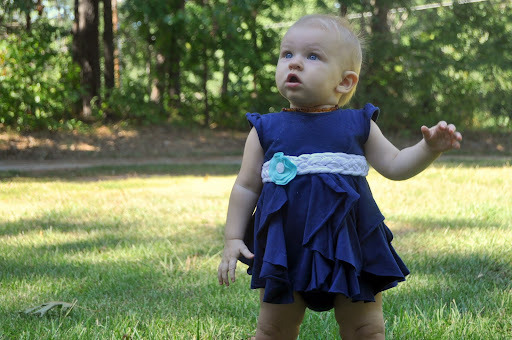 And on your gorgeous baby girl looking smart in her stylish belted dress! 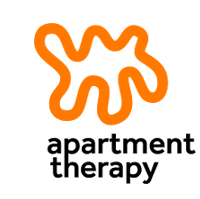 Awesome tute. 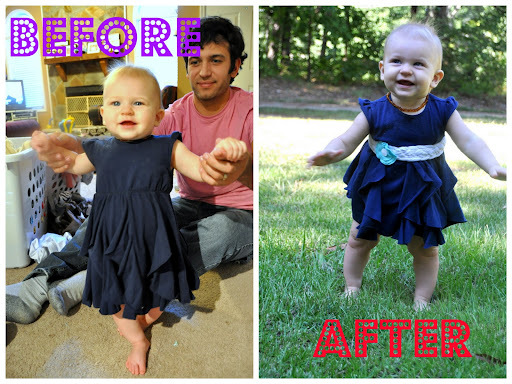 They ARE hard and tedious to write and that's why I rarely do them :) The dress is perfection. And so is 77kids. LOVE.